Gratitude is a wonderful thing. Sure, maybe I'm choosing to post this in the spirit of Thanksgiving, but it's something that's constantly on my brain, even if I sometimes forget to show it. I'd like to take the opportunity to outwardly give some thanks. 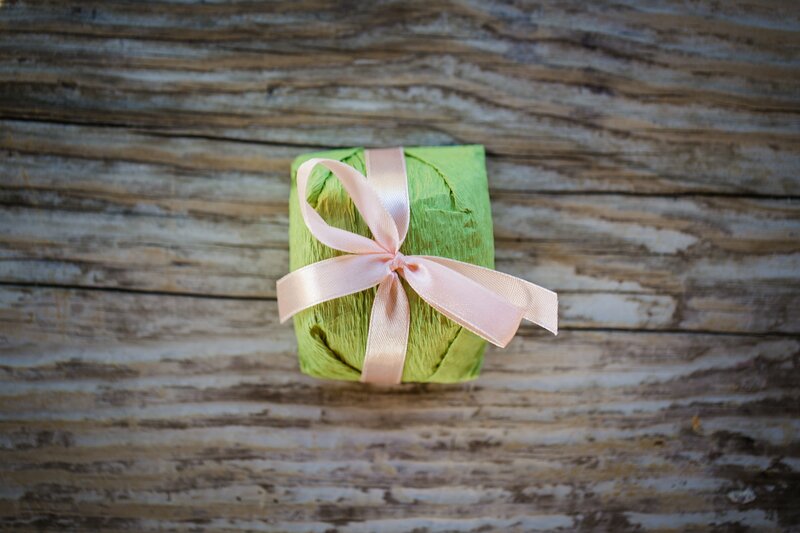 Whether we realize or not, the ability to give gratitude is a gift not only to others, but to oneself. As many of you know, I was able to leave my profession in health care management where I spent almost five years of my time. I loved it. I developed many meaningful relationships with ER physicians, nursing staff, administration, and other support staff. I learned how to do a lot of new things that would set me up for success for many years to come. But it wasn't my calling. And this isn't a humblebrag, so stay with me here. Being a health care provider is a calling. Being a nurse or a police officer is a calling. Military, social work, and charity work is a calling. If you're mainly in it for the money, burnout will happen very quickly. Although I enjoyed my previous job very much, I burned out because it wasn't what I was meant to do, and for me, it stopped being inspiring. Now don't get me wrong, if I had to stay there I would have, but the opportunity to follow in the footsteps of both my father and my wife as a business owner came banging at my front door. I, always being the one who plays it safe, said no to the opportunity many times. Until my wife had the compassion to verbally slap some sense into me by putting things into perspective. The gratitude that I'm trying to circle back to is when my wife and I discussed, over a period of months, the decision for me to pursue this business full-time. Not as a side job, but as my primary job. And for the first time in my life, in February of 2015, I was in a place where I could do it. Where WE could do it. Because there was no better time. Being a business owner brings many feelings. Elation, the joy of being your own boss, and flexible work hours are a plus. But with that comes some moments of self-doubt and uneasiness. Thankfully, the heavy feelings are few and far between. 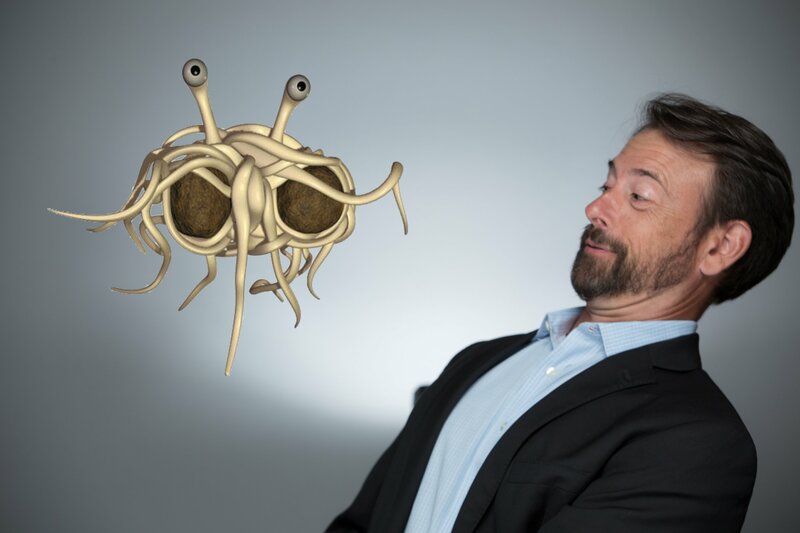 Especially when you have super-cool clients that will allow you to Photoshop the Flying Spaghetti Monster into their corporate sessions as a joke. And then, of course, there are the times when you have to admit that you have no idea what you're doing (which is my least favorite thing for my pride, but my most favorite thing for my success). During those moments, you can either refer potential clients to other photographers or decide to learn a new skill. If there's a niche that I don't choose to work in, such as pet photography, then I will happily refer to other talented local photographers, knowing that they will fully take care of the clients I send them. If there's something that's holding me back, such as lack of knowledge of how to properly light a client using off-camera flash during a wedding, then my only choice should be a no-brainer: learn it or drown. My point is this: I'm grateful for all I learned in 2015, and all who have taught me. 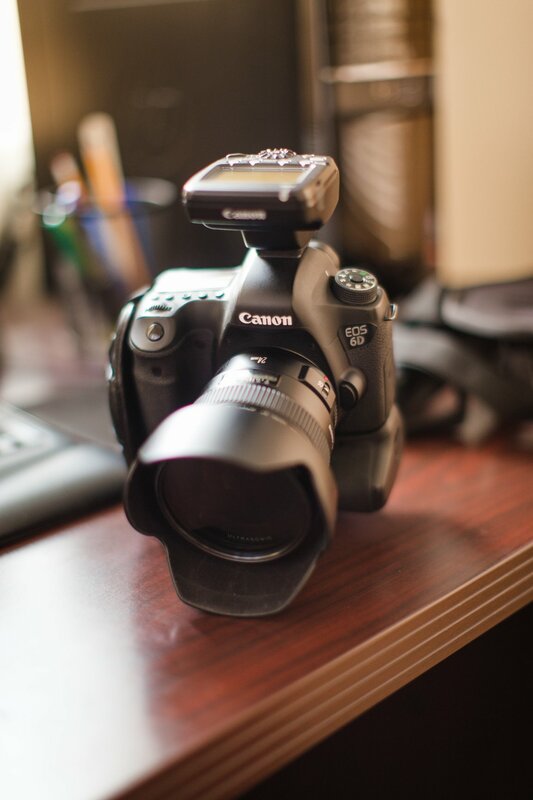 I've aquired a lot of new skills (and a lot of new gear) that have helped me obtain the photos I want, and my business has expanded because of it. So to start this off... I'm thankful for Ryan Gonzales and his workshops which, possibly unbeknownst to him, have inspired me to learn more and do better when it comes to studio portraits. I'm grateful that, this year, I was able to afford a 14-hour download of an AMAZING video that teaches just about all of the ins-and-outs of modern wedding photography. 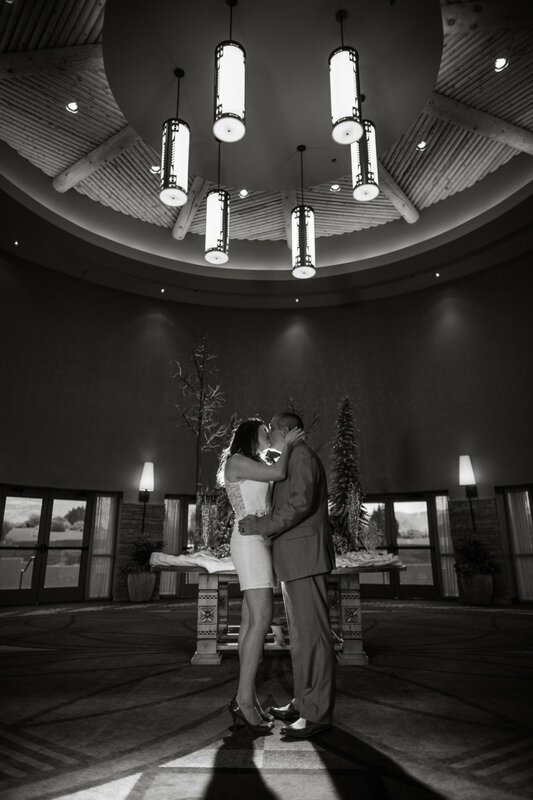 One of the things I took away from that was to bring off-camera lighting to ALL of my sessions, not just weddings. 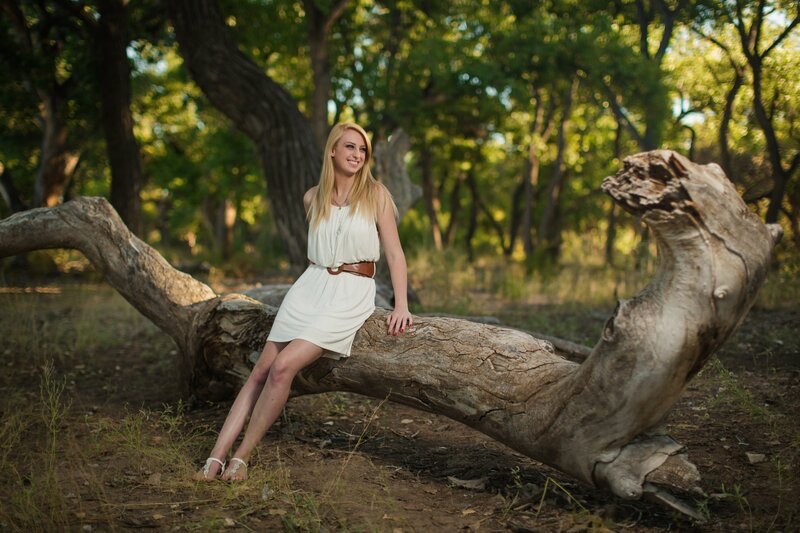 It's the thing that's made my family and senior sessions pop, and I don't know how I ever worked without it. I'm incredibly grateful for my wife, who not only supports my work and actively promotes it, but is okay with me getting all of our lovely new toys! For Father's Day this year, she was kind enough to grace me with my first macro lens (which was a beginner macro, but was excellent for the cost, making it easier to upgrade to a more heavy-duty one soon thereafter). 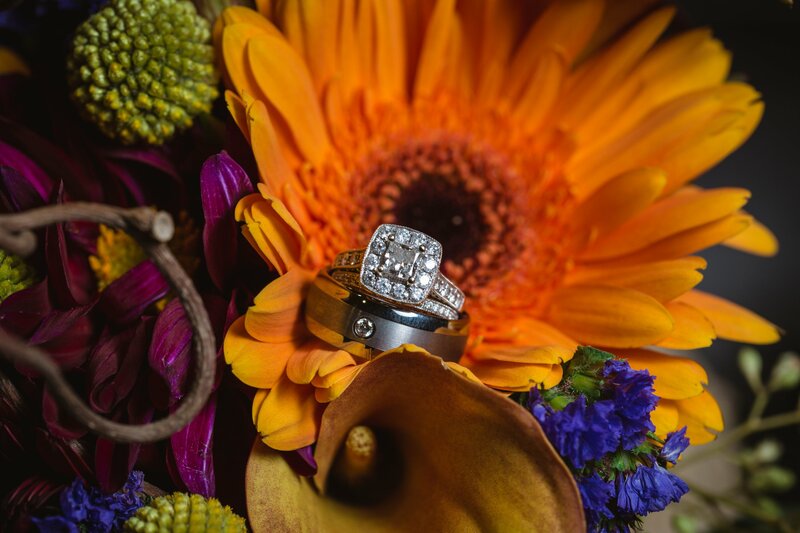 A macro lens is kind of like a microscope that can get SUPER close to the subject, allowing me to take photos of wedding rings, flowers, and other tiny objects with lots of detail. That lens comes with me to every single wedding and engagement photo session. Two people that I've been continually thankful for, since I first met them, are my wedding photographer Misty and her husband Nelio. Their work continues to inspire me to do better, to light better, and to pose better. For them, I'm thankful for the inspiration to always pursue the perfect "drama shot," as we call it. It's the broad, sweeping image, usually of the subjects being lit in a very punchy way. 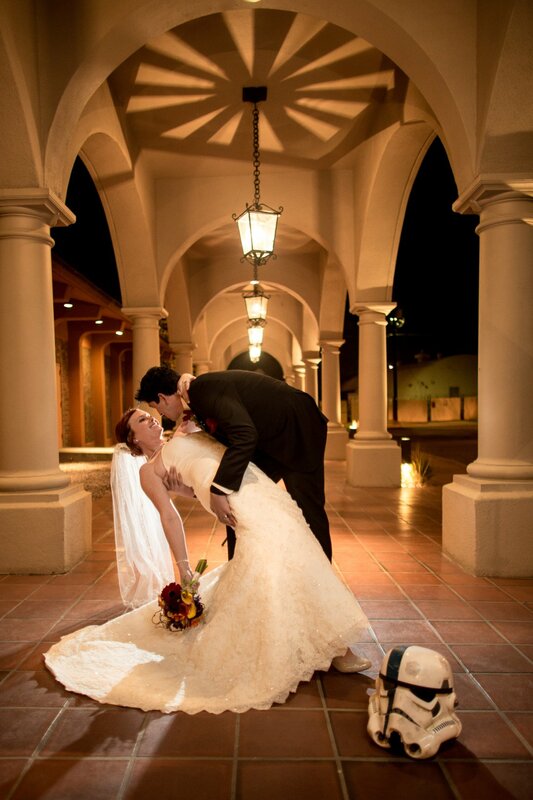 When we talk about a bride and groom being "drama" in a photo, trust us, that's a very good thing. And finally, this year, as always, my heart and gratitude go to every single client we've had the opportunity to serve. 2015 brought new clients as well as old friends, and with that came new opportunities to learn and try different things. 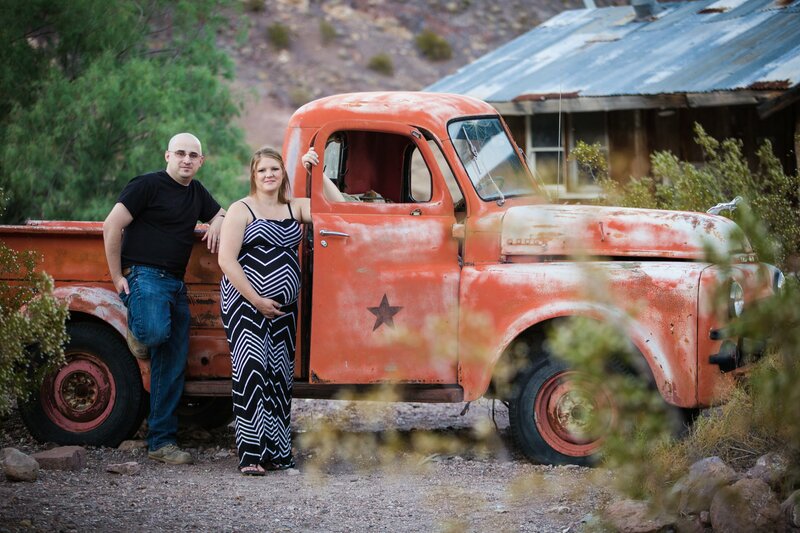 My wife and I couldn't be happier with the client base that we've built one family at a time. We love creating personal connections because we want every client to understand that we value them as individuals, and that not every photo session is created equal. 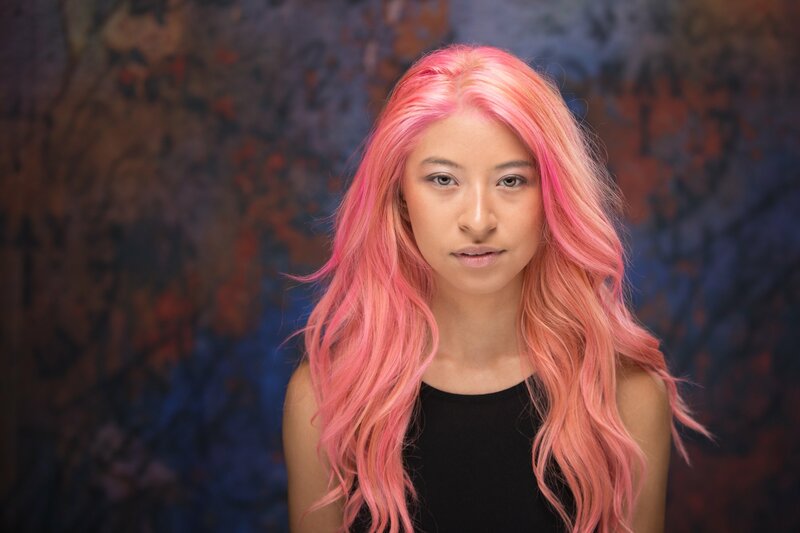 Our clients are absolutely unique, and we always hope to capture them as they want to see themselves. From my family to yours, we absolutely and sincerely wish you a Happy Thanksgiving. Of all of the emotions we carry with us in every day life, I can say without doubt or reservation that gratitude is what will make our time on this planet much more bright and colorful. In lighting a candle for another person, one brightens one's own way.